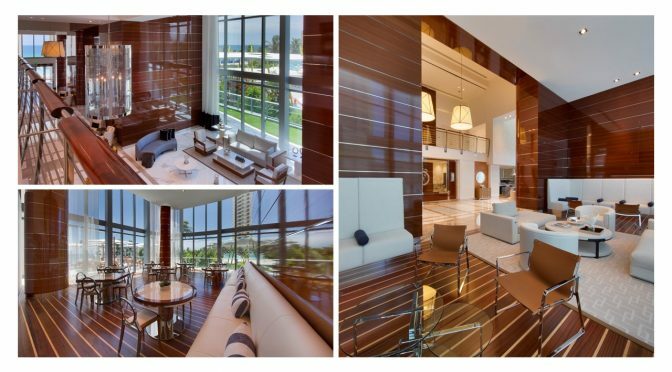 Hollywood Woodwork is very proud to have manufactured and installed the custom millwork on the Chateau Beach Project. The Lobby Wall Panels were produced using quartered sawn sapeli veneer with a full gloss polyester finish. Hollywood Woodwork had the pleasure of working with The Chateau Group, Coastal Construction and the Interior Designer, Fanny Haim & Associates on this project. Hollywood Woodwork also thanks our partners M. Bolke Veneers, Precision Veneers and Sherman Williams Company as contributors to a very successful and beautiful project.